SW-3i Ozzy Juice Degreasing Fluid is a pH-neutral, biodegradable, non-toxic, non-caustic and non-hazardous surfactant degreasing solution. A highly efficient cleaner on contaminants such as motor oil, bearing grease, hydraulic fluid and transmission fluid; it contains no known carcinogens and has no flash point. 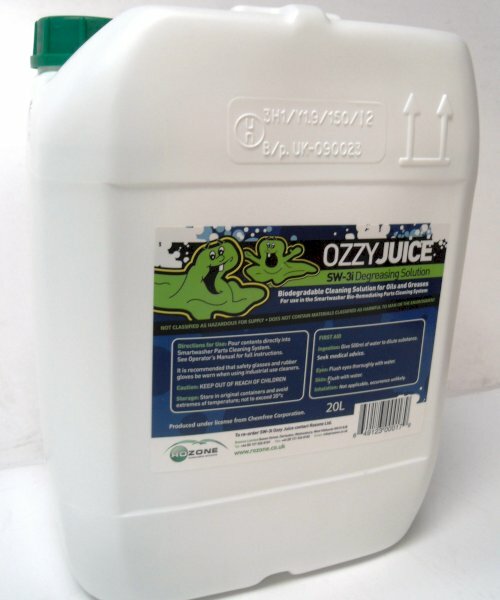 SW-6 Ozzy Juice 20L 11020557 SW-6 Ozzy Juice 20L 11020557 SW-6 Ozzy Juice Degreasing Fluid is a degreasing solution, specially designed for use with specialist metals.